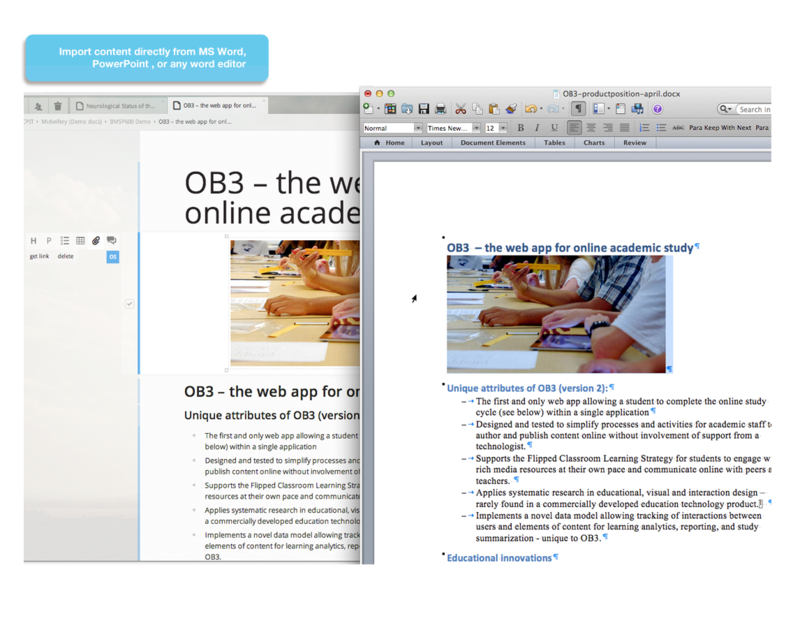 Since 2008, I have lead research and conceptualisation of the feature design of OB3 - the web app for Beatiful Study for Lifelong Learning™. OB3 supports lecturers, students and administrative staff in their experience of online academic study. This application is designed for time starved medical educators and students, to efficiently and effectively create sleek and media-rich online study documents. With minimal effort, users can import content directly from MS Word or Powerpoint (see image), add rich content such as videos or audio via drag and drop, add discussion and comments where there is content. OB3 documents can contain interactive objects, video, audio-recordings, text, and images. 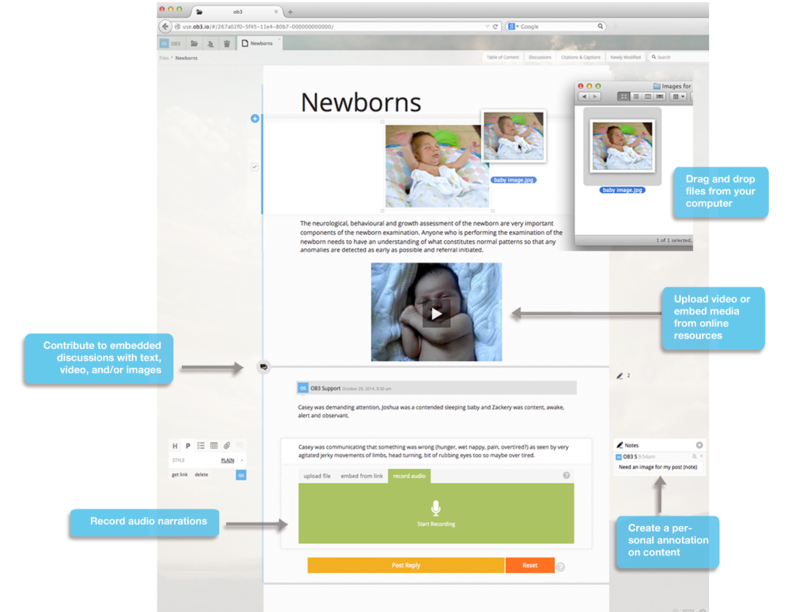 These can be edited, updated by users, or anyone they share the documents with, anytime, anywhere. The help of a technology specialist is not required.